An all-star cast of artists in various music genres including Rock, Ska, Progressive, Club, Techno, House, Electronica, and Jazz come together! 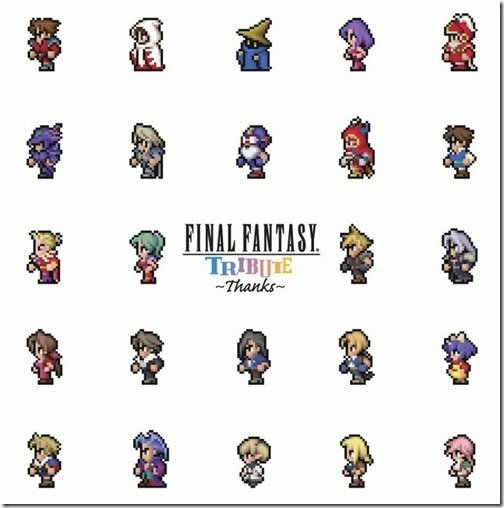 FINAL FANTASY® TRIBUTE ~THANKS~ is a tribute album, commemorating the 25th anniversary of FINAL FANTASY®. The jacket features a newly-rendered sprite art of Kazuko Shibuya! *Please note that this is a Japanese import soundtrack disc.